Afternoon snacks. I need them. If I don’t, I’ll eat some candy or chocolate. If I want to eat (irritatingly) healthy (no afternoon candy) I need to either buy a sandwich from the canteen or take my own stuff with me. It’s a kind of a nuisance to carry the food around, but I just don’t like the sandwiches…. A typical snack consists of some fruits and some source of protein. 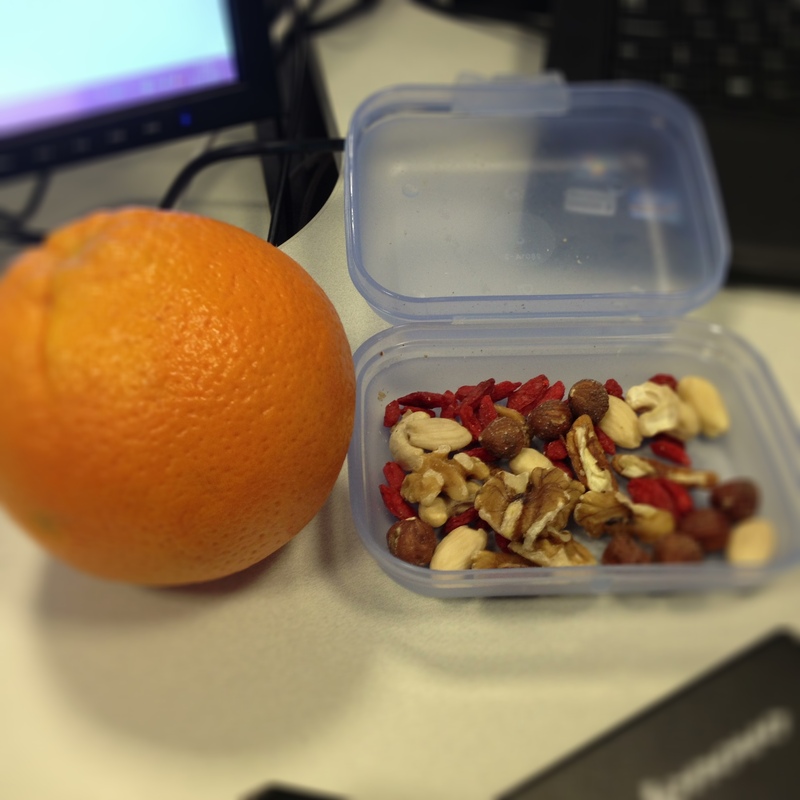 Like an orange, mix of different nuts and goji berries. Or curd. 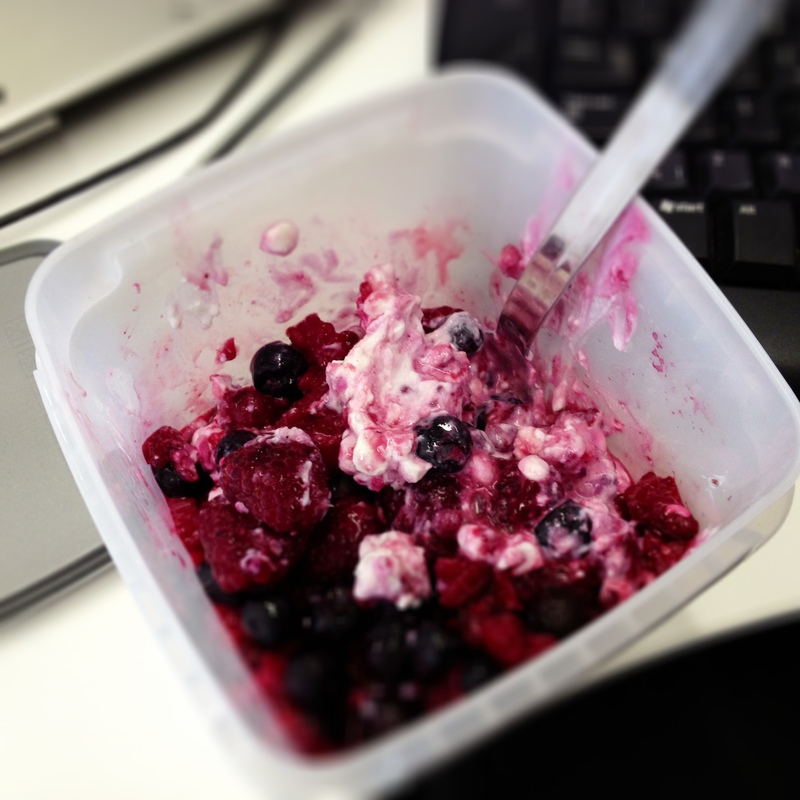 cottage cheese, berries and some seeds (hemp, sesam, sunflower etc). What about you? Do you eat snacks? What kind of snacks do you prefer?